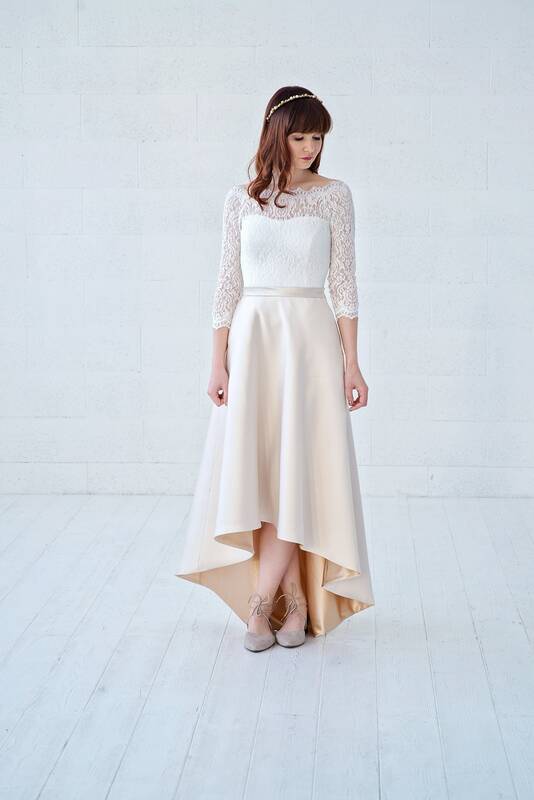 Two piece wedding dress "Una" features and asymmetric, high low skirt in mikado fabric and an of the shoulder, supportive boned top with cups installed. 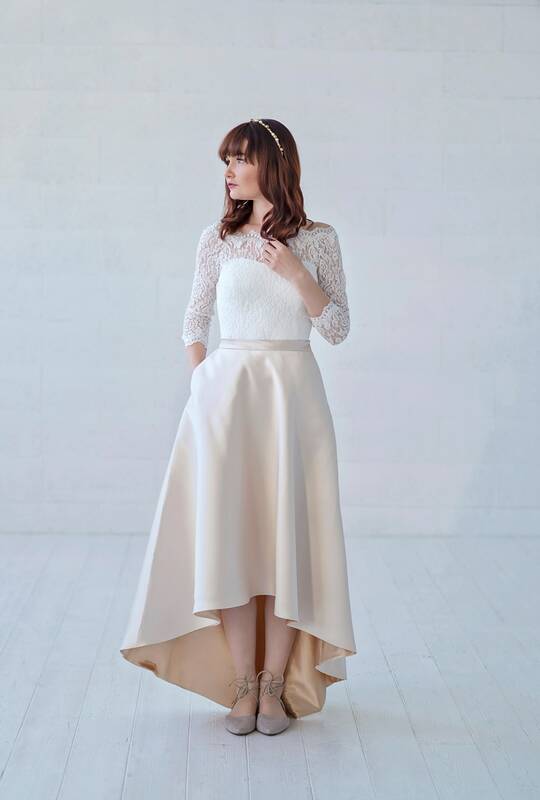 The skirt is available in t colors of Mikado (outer skirts color), which is gold (as shown) and ivory when purchased together with the top (which can only be ivory), and separately it is also available in pure white. The skirts lining can be nearly anything as we have a massive supply of these satin lining fabrics, so we can get you a pop of color just for your wedding style! 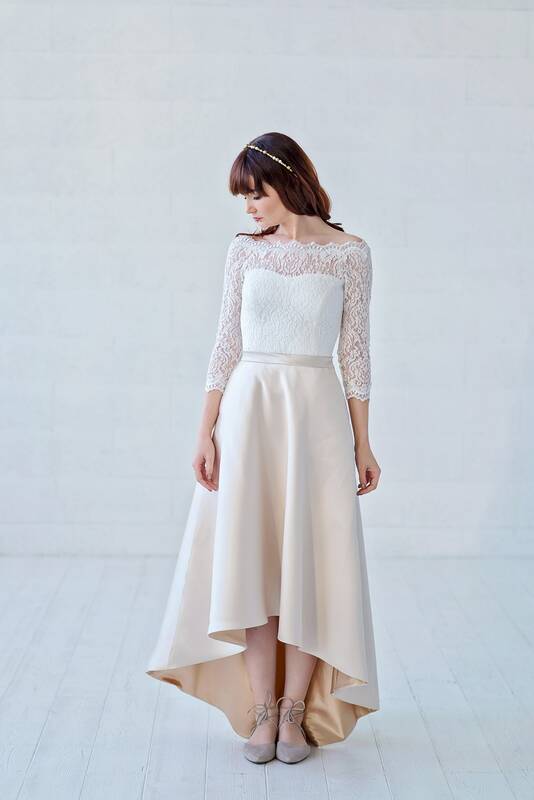 Do not hesitate to start a conversation to explore options about the lining of this high low skirt. The skirt can also be made all one length, for example floor length of tea length - entirely up to you. 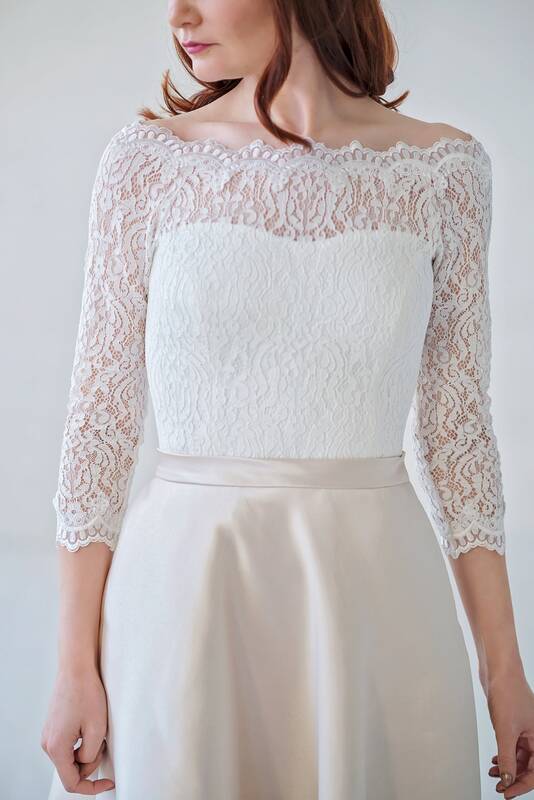 The top is a beautiful lace design with an inner neckline of a semi-sweetheart and an outer off the shoulder scalloped lace neckline. 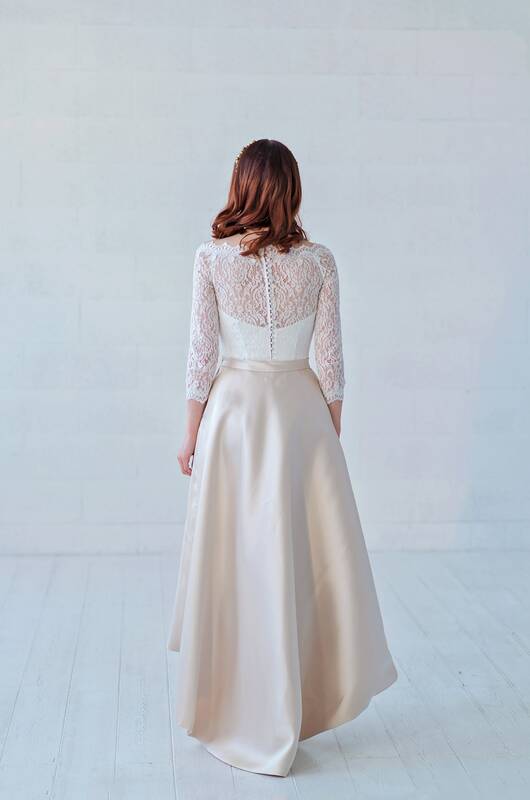 The inner neckline can be easily changed to either sweetheart or straight across, and the sleeves are another variable - you can have them in any length. This top does not require a bra and you can modestly show of your back through the lace.